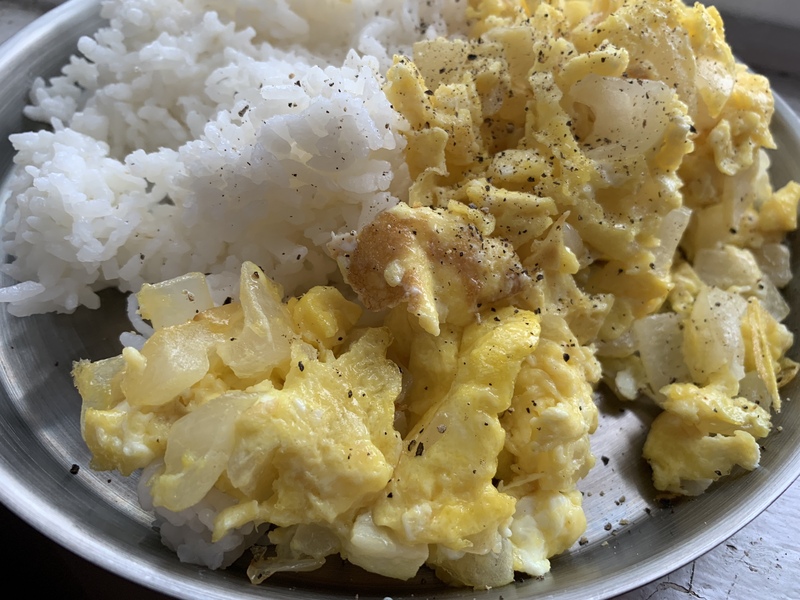 Ahhh, Filipino Eggs with Onion. One of my major cravings when I was pregnant with Olivia. I would wake up and grab an onion and scramble a few eggs and that was it. It is also one of the first foods I had at my mother in law’s house when I was still dating my then boyfriend, now husband. I remember it being one of the dishes I’ve had that made me fall in love with the simplicity of Filipino food. I think I cook more a Filipino food at home, than Chinese food! 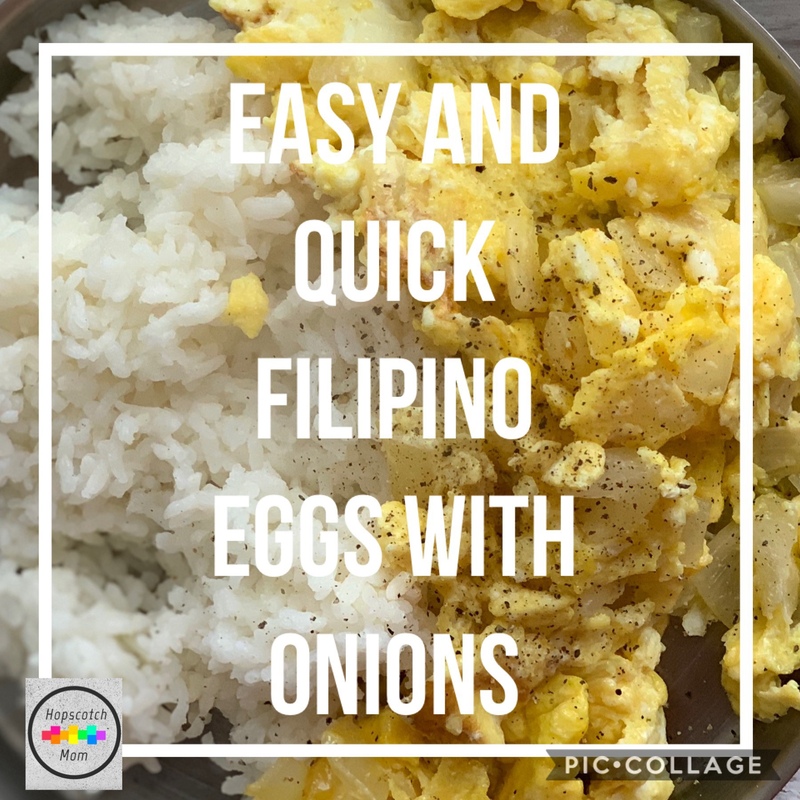 I feel that many of the ingredients used in the Filipino recipes are simple, yet so cleverly put together that it makes whatever you are cooking a stand out! One of the easiest to prepare dishes that taste like it took all morning to make. 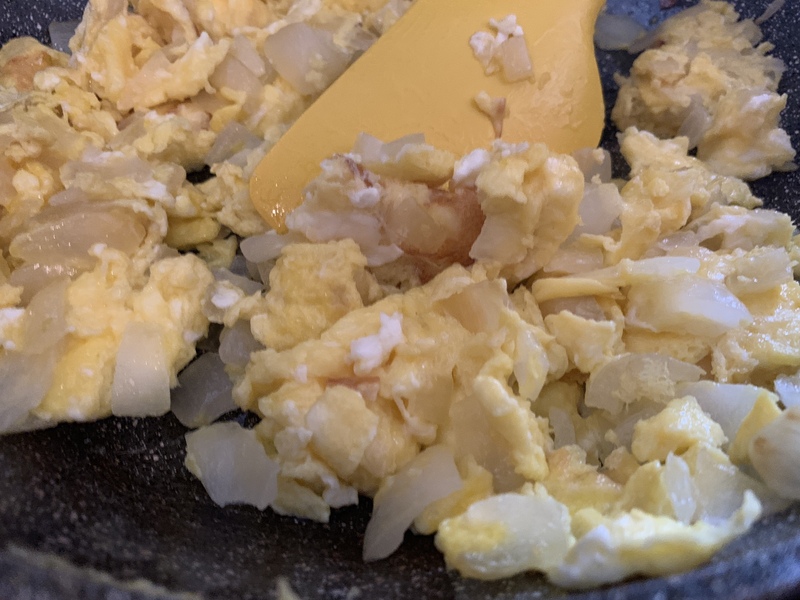 The simple ingredients of just egg and onion is so humble, but when the flavors are combined and the onions infuse the egg with its Unami flavor, it’s the perfect quick breakfast. The onions slightly sweet and still crunchy and the eggs, soft and creamy. 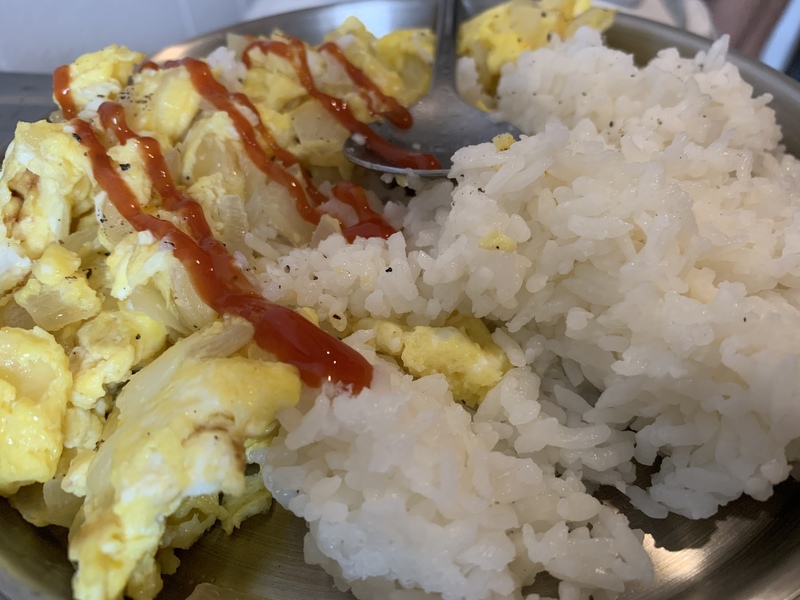 Equal parts of onions and eggs make it balanced when combined with rice too. I would squeeze a squiggly few lines of ketchup on top to complete the dish. These days, when I’m still working on controlling my salt intake, I often omit the ketchup and just use black pepper to flavor the dish. All these little ingredients make the meal well rounded and satisfying. *Notes: Seriously, you can make this dish however way you want. Extra onions, less onions. Onions cooked for a few minutes, onions cooked for more minutes. The beauty of this dish is how well the flavor of the onions and eggs marry! 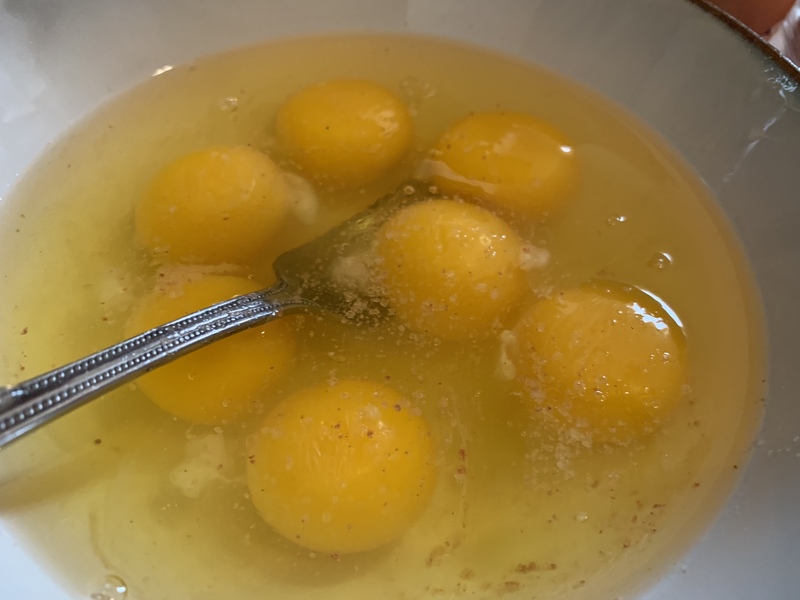 1- Whisk eggs and set aside. Season with salt and pepper. 3- Add diced onions. 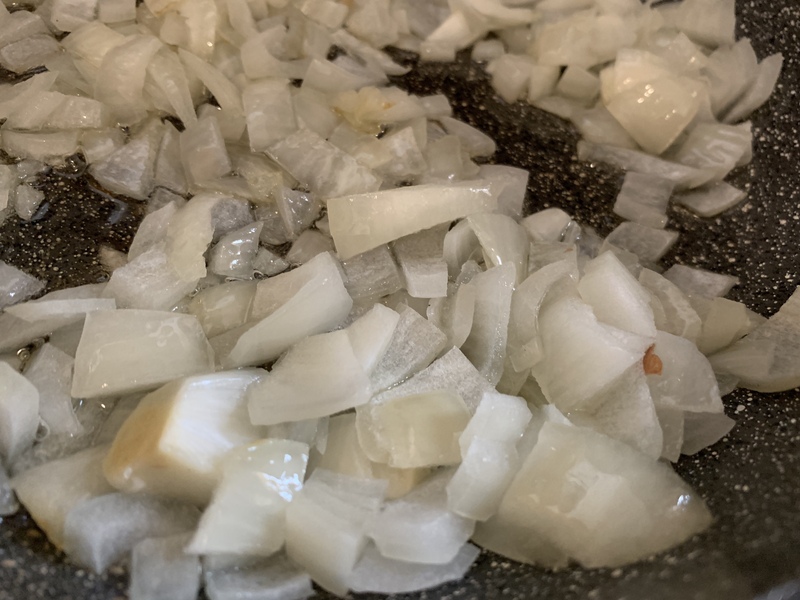 If you prefer the onions well done, you can cook it longer or until they’re translucent (usually estimating 4-8 minutes). 4- Pour in the eggs and let it sit for a few minutes until the bottom layer solidifies a bit. 5- Just mix/ scramble your eggs until everything is solid and your eggs are cooked! 6- Serve with white rice and extra black pepper and top with ketchup! Enjoy! This dish really is an anytime meal. Chances are, if you haven’t gotten to doing groceries yet this week, you will still have all the ingredients in the house to make this! Its comforting, filling and yummy! 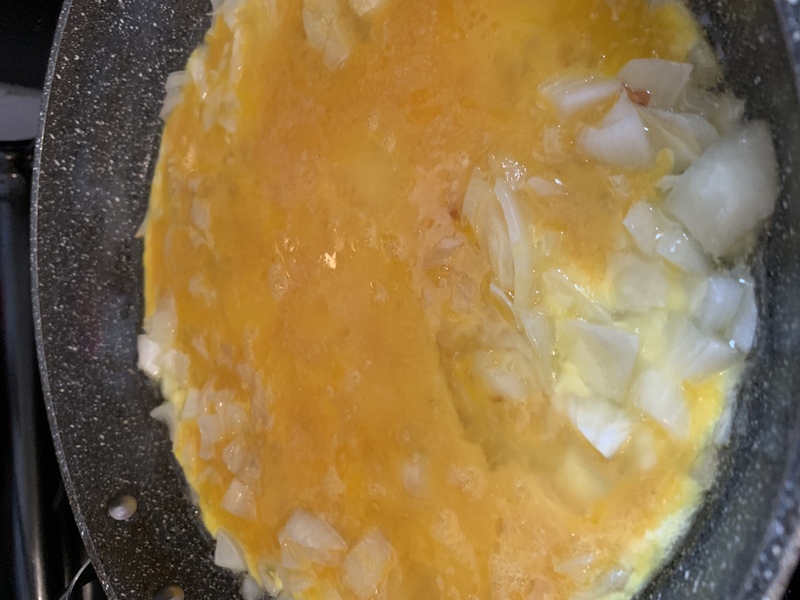 How do you like to make/eat your eggs with onions?